Beth Cochrane is part of the next generation of incredibly talented Scottish female authors. Here she tells us how she fell in love with Scotland’s National Book Town – Wigtown. I first became involved in Wigtown Book Festival in summer 2015. I was about to complete a Masters in Creative Writing at the University of Edinburgh, but, like many Arts graduates, had little idea what to do next. I knew I wanted to work in the literary industry, but doing what? That’s how I happened across Wigtown Book Festival. The organisation was looking for two people to take on internship roles that year for the upcoming festival, with one helping with marketing and the other assisting with live events. An application form and a Skype interview later, I found myself welcomed in to the Wigtown Festival Company as their new Events Assistant. The plan was to spend around a month in Wigtown between September and October, doing last minute administration and organisational tasks and assisting in the delivery of the hundreds of literary events across the ten day festival. 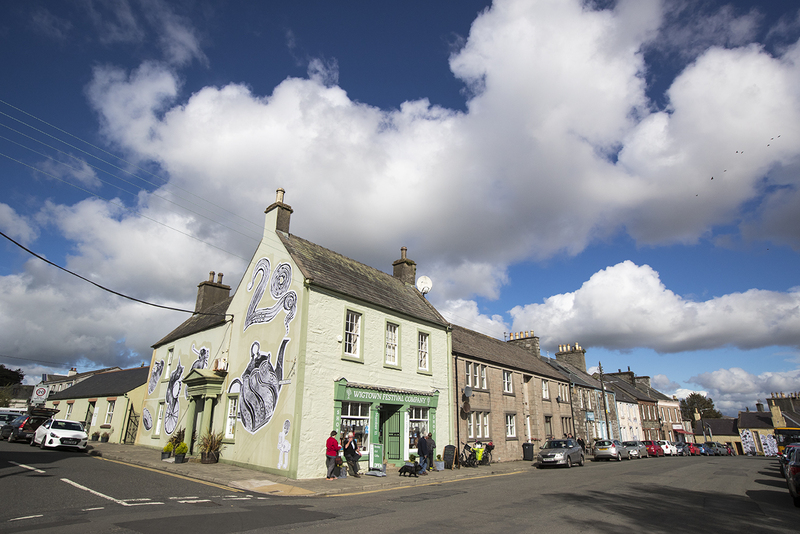 The Wigtown Book Festival celebrated its twentieth birthday in 2018, having become Scotland's National Book Town back in 1998. But through the late 1980s and early 90s the town of Wigtown, situated on the coast of Galloway, had been in economic trouble. All its major industries, the creamery and distillery, had closed and many residents had been made redundant. Families were moving elsewhere to find work, leaving numerous properties unoccupied. The town was facing a crisis. Surprisingly, this was one of the things that made Wigtown’s bid for National Book Town a success. With so many properties available there was ample shop space to buy or rent for prospective bookshops – an obvious necessity in a book town. The Scottish Parliament officially recognised Wigtown as Scotland’s National Book Town in 1999 and its first Book Festival was held that year. From this initial three day festival, which welcomed around 1000 visitors, the Festival has grown into a packed ten day event, with more than 300 events and 13,500 visitors in a town that has a population of less than 1000 residents. In 2017 it generated an incredible £3.2 million for the region’s economy. However, back in 2015, sitting in my Edinburgh flat and wondering what I had gotten myself into, Wigtown’s history was nothing more than text on a screen to me. I had yet to experience the festival itself, with its eclectic array of writers, musicians, poets and bookshop owners. I hadn’t yet been welcomed into the community of, as it currently stands, a dozen secondhand bookshops (and a recently opened bookshop with new print). The festival provided accommodation for my month in Wigtown – a basic but cosy cottage that I shared with the Marketing Assistant, Lindsey (three years later and we’re still texting each other recommended books, Netflix shows and bad movies). From day one I felt a part of Wigtown’s community, with the office staff at Wigtown Festival Company always on hand to help, no matter how trivial the question. Other residents in the town would stop in the street to see how I was settling in, want to know more about me or how I was enjoying working at the Festival Company. By the time festival time arrived I felt fully integrated into Wigtown life, frequently calling in at many of the bookshops for coffee and conversation with the owners. I even found other Cochranes in town; the owners of the much loved Old Bank Bookshop. 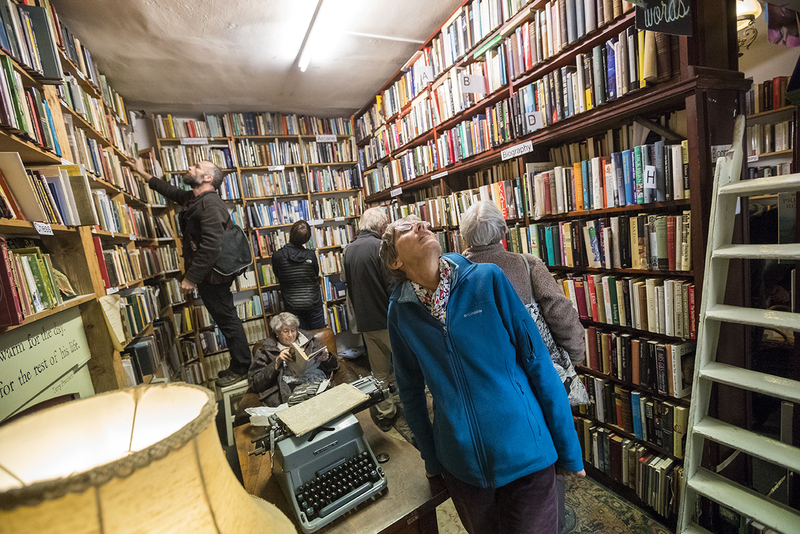 Scotland’s largest second-hand bookshop, The Bookshop, became a firm favorite place to browse potential purchases. As an avid reader I loved spending time amongst shelves laden with everything from the complete works of Keats to the autobiography of an English sea captain, circa 1700. The Bookshop’s owner, Shaun Bythell, was in the process of completing his now published and immensely successful Diary of a Bookseller; a memoir of his time running The Bookshop. But it was only when the festival began that I realised how important it is to Wigtown. The town was flooded with visitors who were spending money in shops, cafes, restaurants and hotels. Writers, poets and artists, at all stages of their careers, seemed to seep from every pore of the town. I had never known such a close concentration of artists (of all forms), ideas and conversation that I felt, at the time, completely out of my depth in. The town had been brought to life by literature. The ten days went by in a blur of little sleep and a busy workload, but I had a life-changing experience doing it. Decompressing after the festival, I realised I loved the work just as much as I love writing. When I returned to Edinburgh I decided this balance was exactly what I wanted in life, at least for the foreseeable future. That’s how Wigtown Book Festival directly impacted my career. From that experience, I had enough knowledge to continue gathering literary events experience, finally culminating in my current role of Programme Co-ordinator at the Scottish Poetry Library. I manage to maintain the balance between work and writing (I was awarded a New Writers Award earlier this year, and have been working on my first novel for the award’s mentorship scheme). Would I have found this path so quickly without Wigtown Book Festival? Probably not, would be my answer. I still maintain close contact with the festival, and I was recently appointed as a Trustee of the Board, and look forward to steering the festival into the next ten years. Wigtown faced a grim and uncertain future only twenty years ago. Now it’s a thriving town with dozens of businesses and families, and firmly in place on the tourism map. 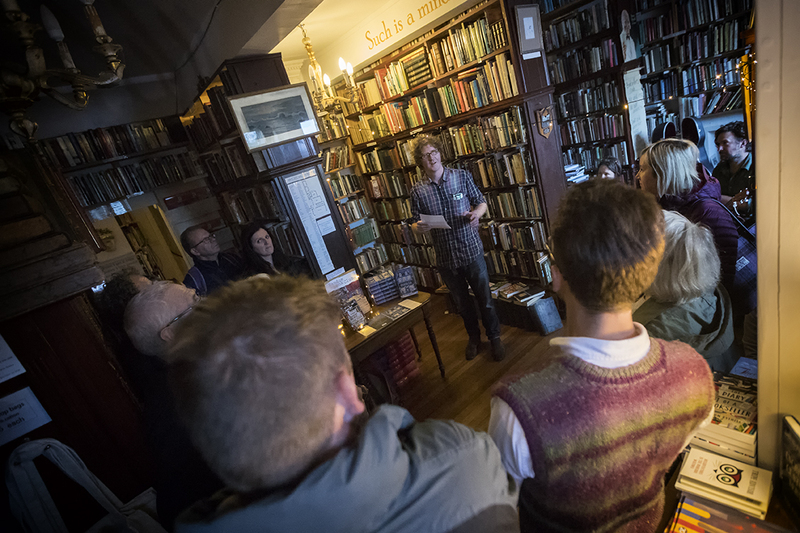 With the determination of the locals and the festival staff (in particular Operational Director Anne Barclay and Creative Director Adrian Turpin), the town successfully came back from the brink of despair and transformed itself into the heart of literature that we call Scotland’s National Book Town.